Jill Of All Trades: My quick fix pasta recipe! 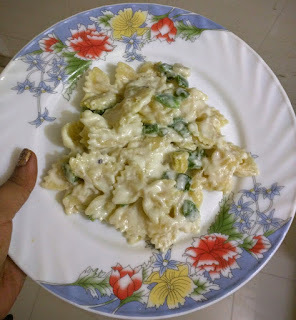 My quick fix pasta recipe! I love Italian food. And I'm not just saying that because I'm writing a Pasta recipe. But I can live on pizzas and pastas and pasta salads all my life. 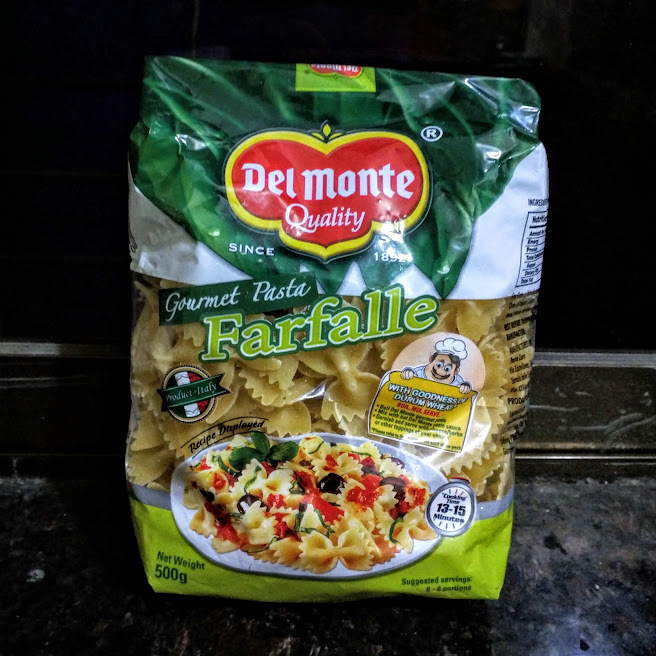 So when I came across the Indiblogger's Del Monte, Blog your way to Italy competition, frankly, I was thrilled mostly to receive a packet of Pasta to make! I soon received a packet of Farfalle pasta at home, yay! Honestly, this is the first time I was using Farfalle pasta; usually it's Penne or Spaghetti. I really appreciate the resealable feature of the packaging, use how much ever you want and then pull the seal down and stick! 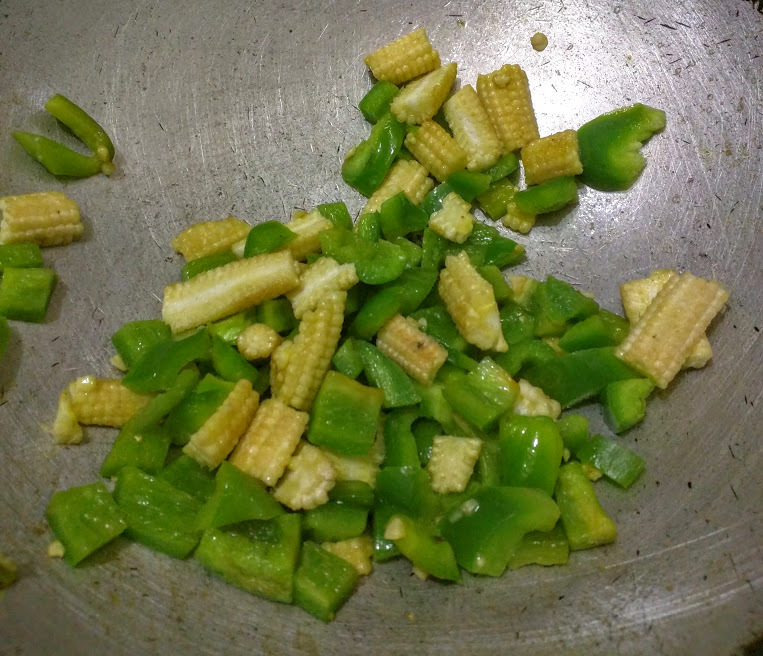 I wanted to make something quick and easy, using ingredients that would be easily available at home. 1. 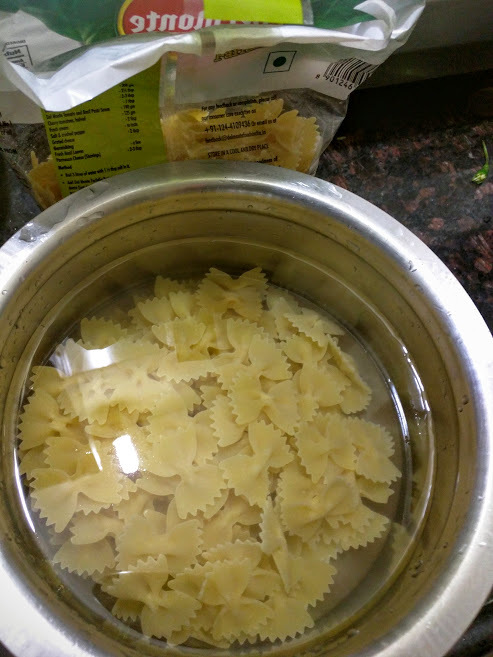 Keep the pasta to boil. (Read the instructions on the packet). Don't these look absolutely pretty? Like bows. And that's it! 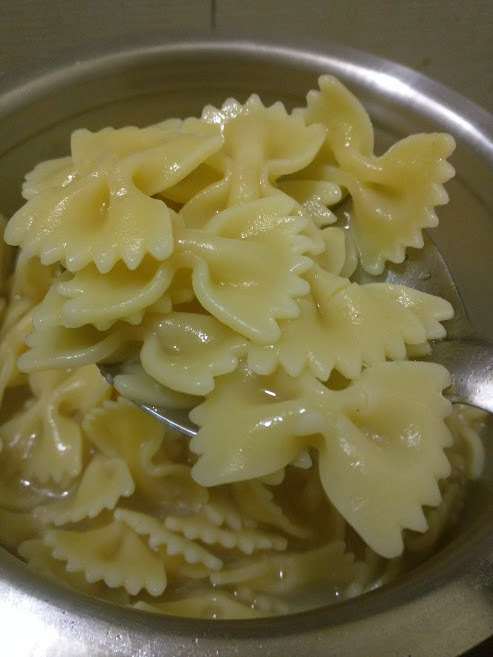 Enjoy your quick fix Farfalle Pasta! Do try this simple recipe out guys. It may look and feel too simple and plain, but tastes fab! And if you have any questions, please do post them as comments! IskiUski is one of the online foremost jewellery shop in india with the latest jewellery design in Gold, Diamond, Silver. We offer wide range of diamond and sapphire ring from various famous designers. In a country like India, Vastu Consultant Mumbai is considered one of the basic requirements while constructing a property or building according to pre-specified principles. It is necessary to follow these principles for wealth, health, fame and prosperity in life. Though it has become difficult to follow each and every principle in the present era, it is important to make maximum use of tenets in order to achieve peace and harmony in life. A yummy surprise from Choc Le! Airtel 4G is truly the fastest network ever! My doodle diary from the Doodle Collection!